The Oklahoma baseball team announced their 2016 recruiting class on Wednesday, which included two OU football players. 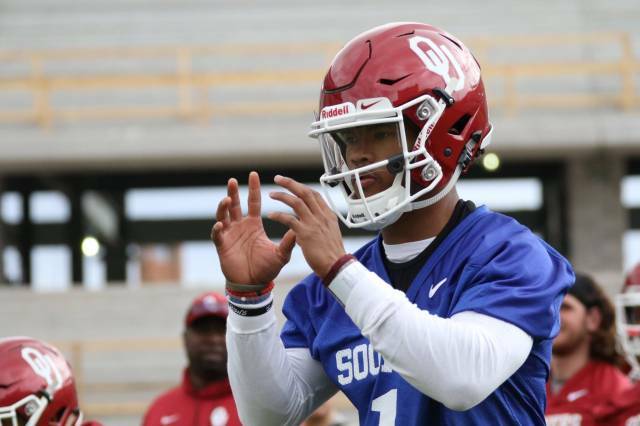 Texas A&M transfer Kyler Murray might be best known to Sooner fans as the quarterback who announced his transfer to OU around the same time former OU quarterback and 2014 Sugar Bowl MVP Trevor Knight was announcing his transfer to A&M, but Murray didn’t come to OU for football alone. He was a standout baseball player in high school with the potential to be drafted early in the 2015 MLB draft before deciding to play for the Aggies. Once he arrived at OU, Murray announced his intentions to play baseball for the Sooners while sitting out this football season due to his transfer.